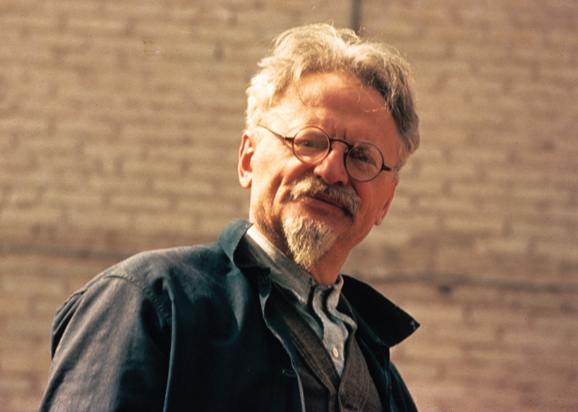 Leon Trotsky in Mexico; ca. 1940 | I hope to be remembered for my atrocities! The Mexican president at the time was Lázaro Cárdenas, the most left-wing president in Mexican history, still very beloved by working class Mexicans for his nationalization of oil and agrarian reform programs. However, given his leftist policies at home and support for the Second Spanish Republic in the Spanish Civil War, Cárdenas was often under fire for being a puppet of Stalin’s Soviet Union. Well, what’s a good way to prove you’re not under Stalin’s control? Give asylum to Trotsky. In 1894 Alexander III died. As was usual on such occasions, the liberal hopes sought support from the heir to the throne. He replied with a kick. At the audience granted to the Zemstvo leaders, the young Czar described their aspirations for a constitution as “nonsensical dreams.” This speech was published in the press. The word-of-mouth report was that the paper from which the Czar had read his speech said “groundless dreams,” but in his agitation the Czar had expressed himself more harshly than he intended. I was fifteen at the time. I was unreservedly on the side of the nonsensical dreams, and not on that of the Czar. Vaguely I believed in a gradual development which would bring backward Russia nearer to advanced Europe. Beyond that my political ideas did not go. Commercial, multi-racial, loudly colored and noisy Odessa remained, to an extraordinary degree, far behind other centres in a political sense. In St. Petersburg, in Moscow, in Kiev, there were already in existence at that time numerous socialist circles in the educational institutions. Odessa had none. In 1895 Friedrich Engels died. Secret reports were read at meetings held in his memory by student groups in the various cities of Russia. I was then in my sixteenth year. But I did not know even the name of Engels, and could hardly say anything definite about Marx. As a matter of fact, I probably had never heard of him. I faced the first crossroads on my path, poorly equipped politically even for a seventeen-year-old boy of that period. Too many questions confronted me all at once, without the necessary sequence and order. Restlessly I cast about me. One thing is certain: even then life had stored within my consciousness a considerable load of social protest. What did it consist of? Sympathy for the down-trodden and indignation over injustice the latter was perhaps the stronger feeling. Beginning with my earliest childhood, in all the impressions of my daily life human inequality stood out in exceptionally coarse and stark forms. Injustice often assumed the character of impudent license; human dignity was under heel at every step. It is enough for me to recall the flogging of peasants. Even before I had any theories, all these things imprinted themselves deeply on me and piled up a store of impressions of great explosive force. It was perhaps because of this that I seemed to hesitate for a while before reaching the great conclusions which I was impelled to draw from the observations of the first period of my life. His great great-granddaughter is interesting. Her family suffered from severe alcoholism due to the obvious stress from the assassination attempts on Trotsky, and she became an expert on addiction. This entry was posted on March 15, 2015 by Miep. It was filed under History, Human History, Images of History, Late Tsarist-Revolutionary Era Russia (1890-1930), Life under siege, Photography, Russian Civil War, Russian Empire, Soviet Union, Weird and was tagged with Bolshevik, Bolsheviks, CCCp, Communism, Communist, communist party, communists, Death, historic, Historical, History, human history, Photo, Photography, Russia, Russian, Society, Soviet Union, Trotsky, USSR, World History.